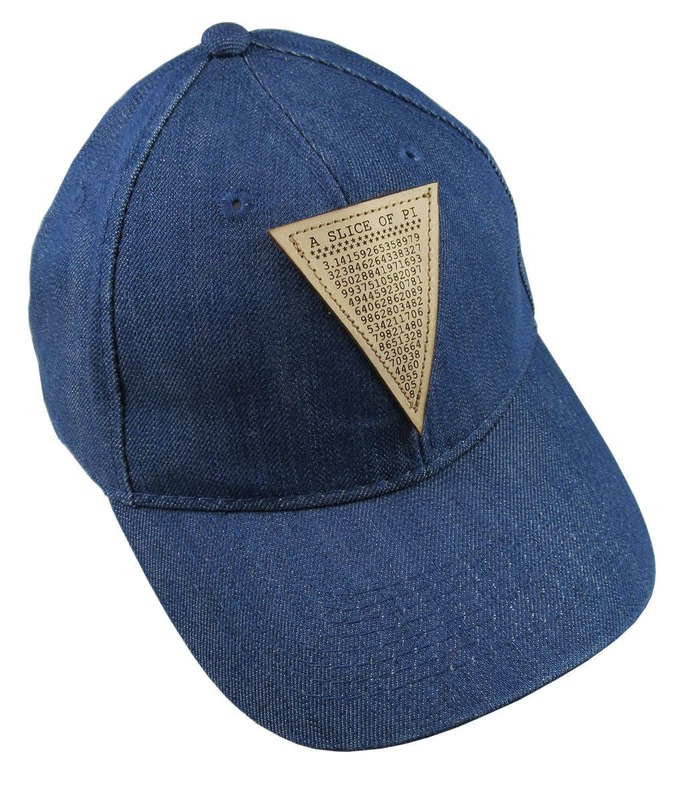 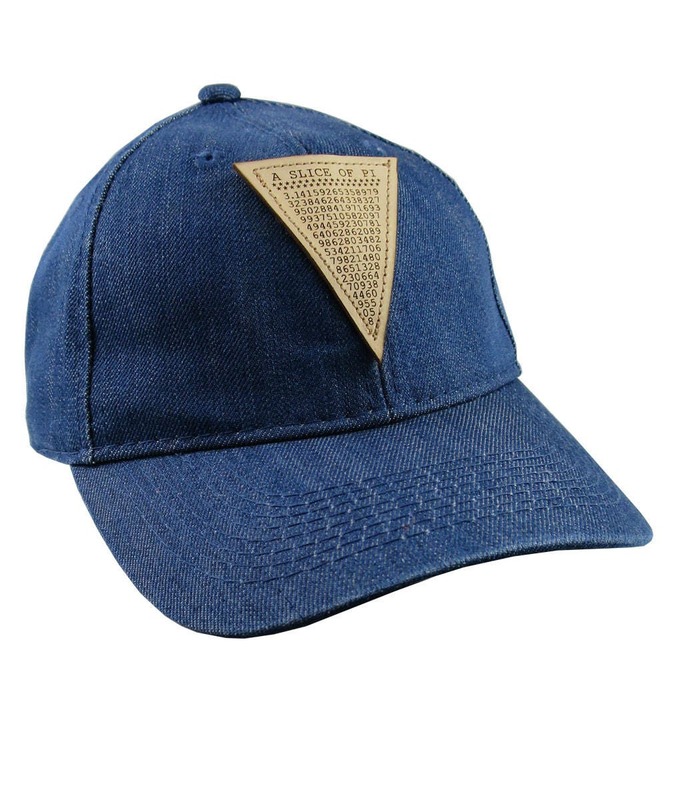 “A Slice of Pi”; a typographic math pun of the Pi solution, laser engraved on a genuine leather patch and sewn onto a blue denim stylish baseball cap. 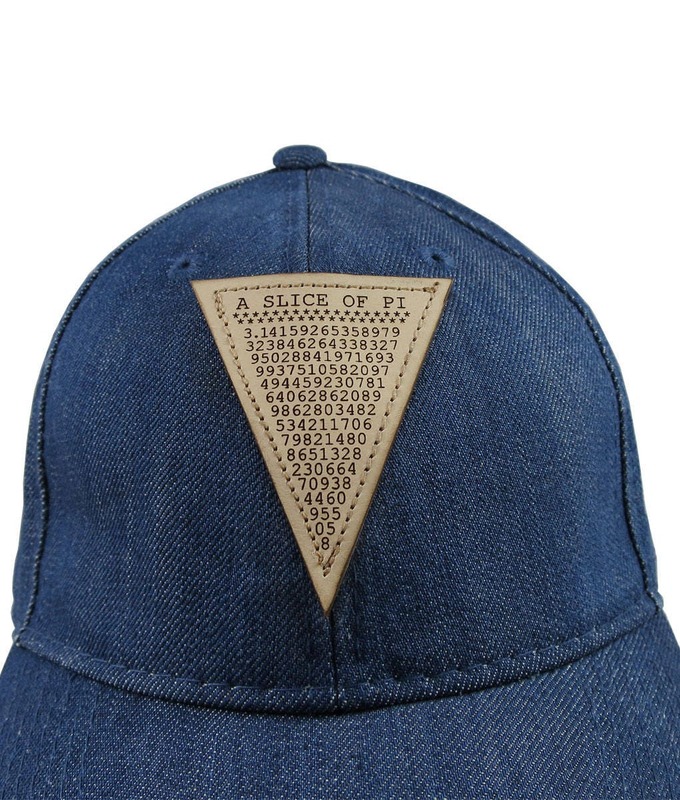 Apple pie, pizza pie; wear or share this slice of pi on your next journey to the geek side. 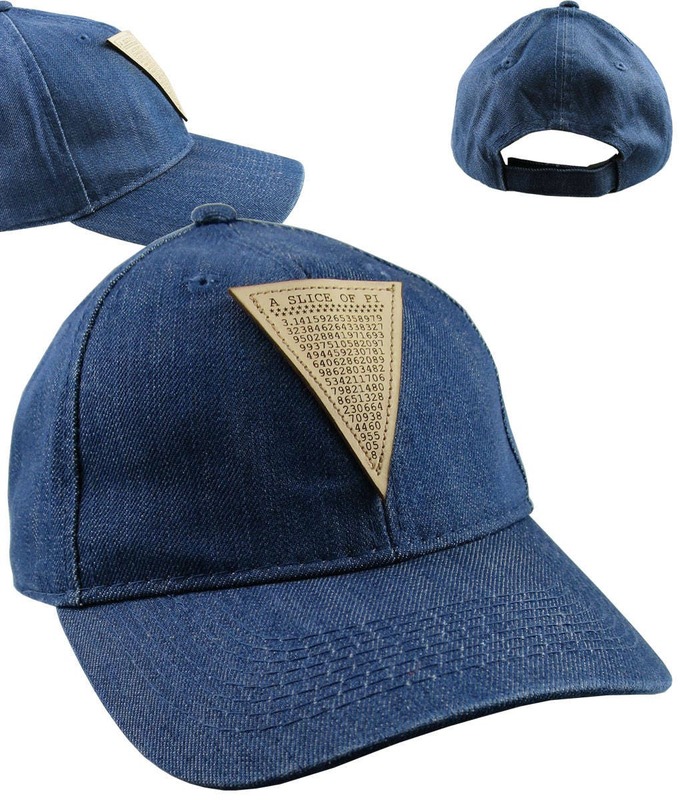 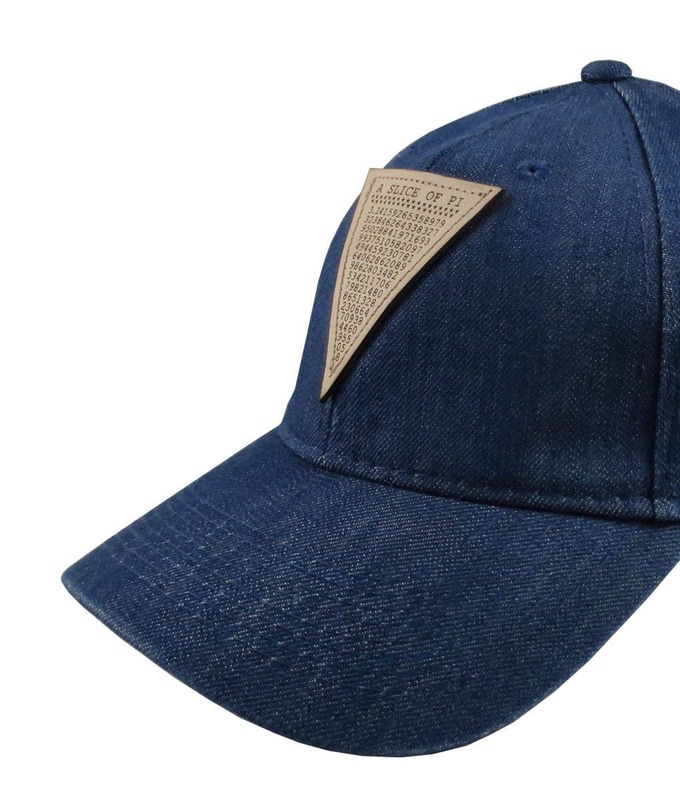 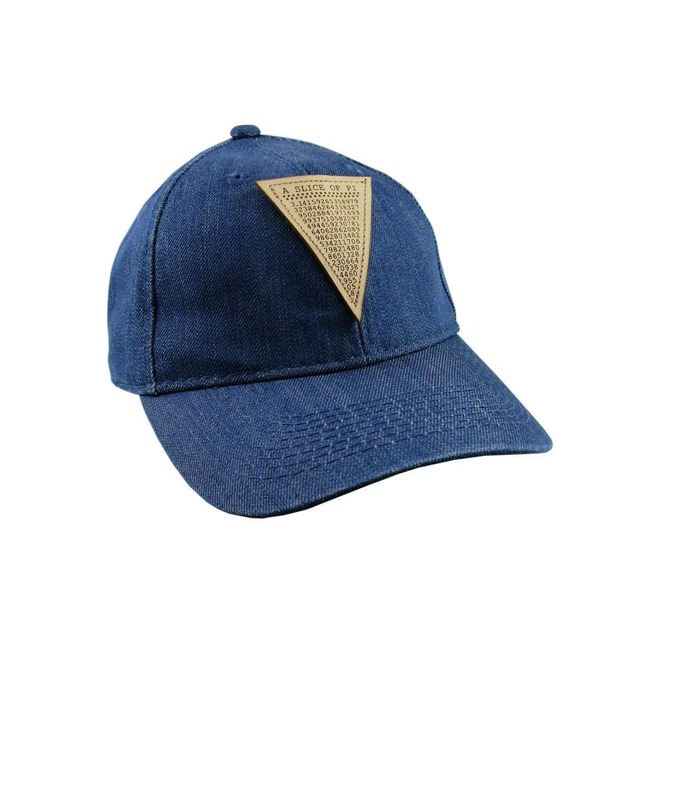 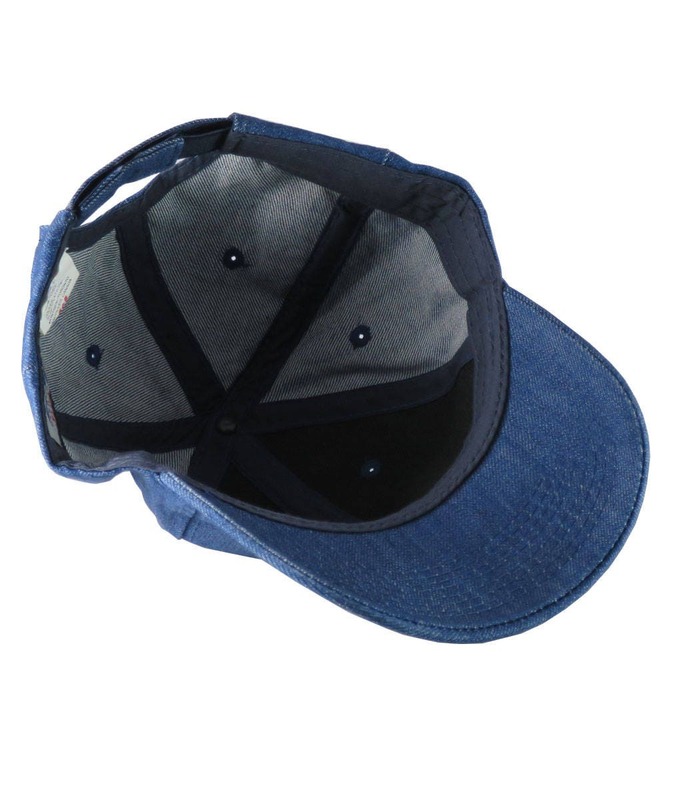 This all season blue denim adjustable cap fits great and will age as well as jeans do.